Errol Spence Jr defended his IBF world title in some style tonight in Texas with a sublime body shot to end affairs in the very first round. Indeed many more big fights will be ahead no doubt for Spence. The likes of Keith Thurman, Shawn Porter and Danny Garcia are probably the easiest out there to be made for him in terms of big fights under the Premier Boxing Champions umbrella and managed by Al Haymon. But the big one, ultimately, is a much clamored for Terence Crawford showdown. 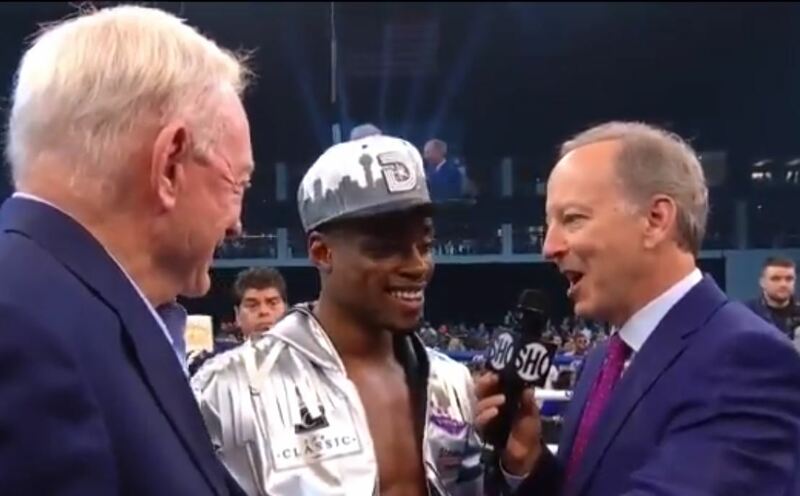 Whatever happens next, Errol Spence Jr is definitely a star in US boxing and potentially a future pay per view star one day. If he keeps going at this rate.